Clean whole food ingredients gently blended, never heated, into a base of organically grown fruits and vegetables. No artificial flavors, sweeteners or additives. Finally, a great tasting Whole Food Multi that supports your child's healthy development! 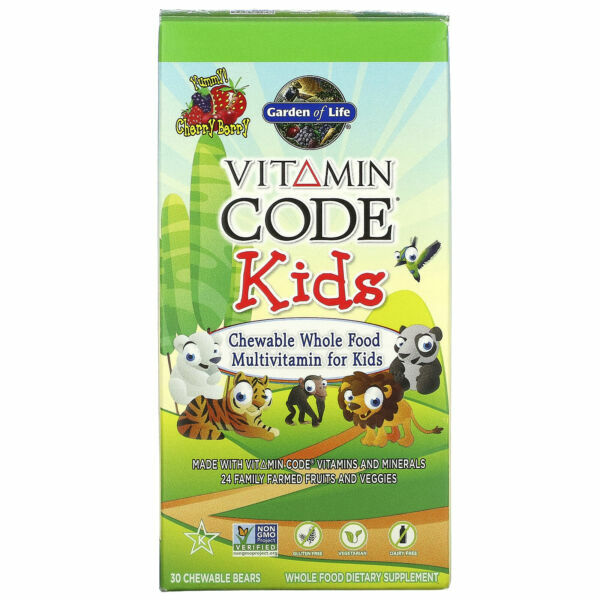 Vitamin Code Kids is the First Non-GMO Verified children's multivitamin - ever! 24 Organically Grown fruits and vegetables for antioxidants, vitamins and cofactors. 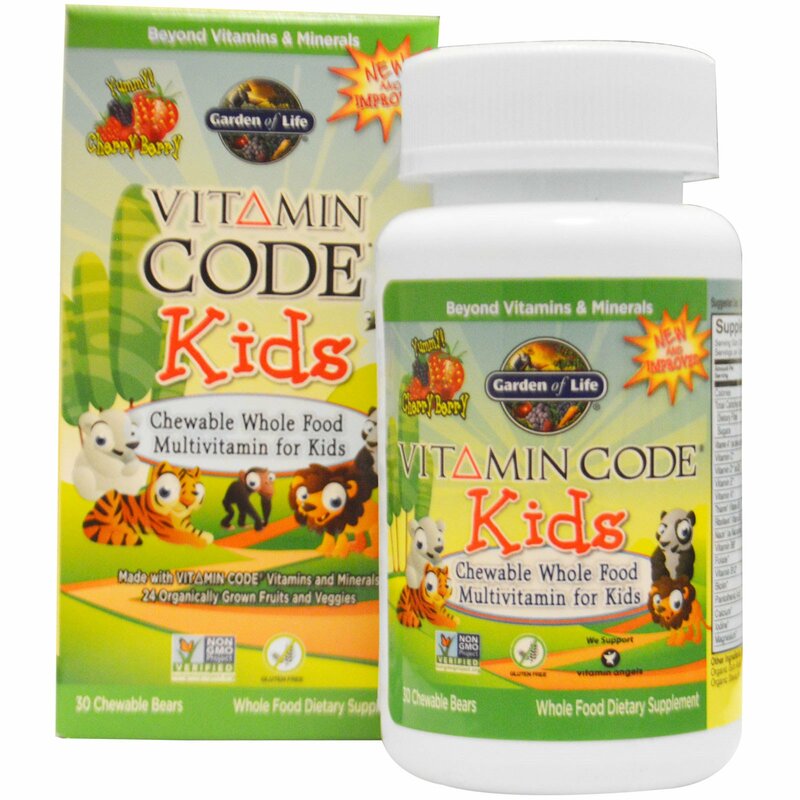 Whole Food vitamins and minerals to support your active, growing child. Clean Tablet Technology Blend: Organic tapicoa dextrose, organic gum arabic, organic sucanat cane sugar, organic erythritol, natural flavors, organic stevia (leaf), citric acid, organic coating. Bear color may vary from lot to lot.